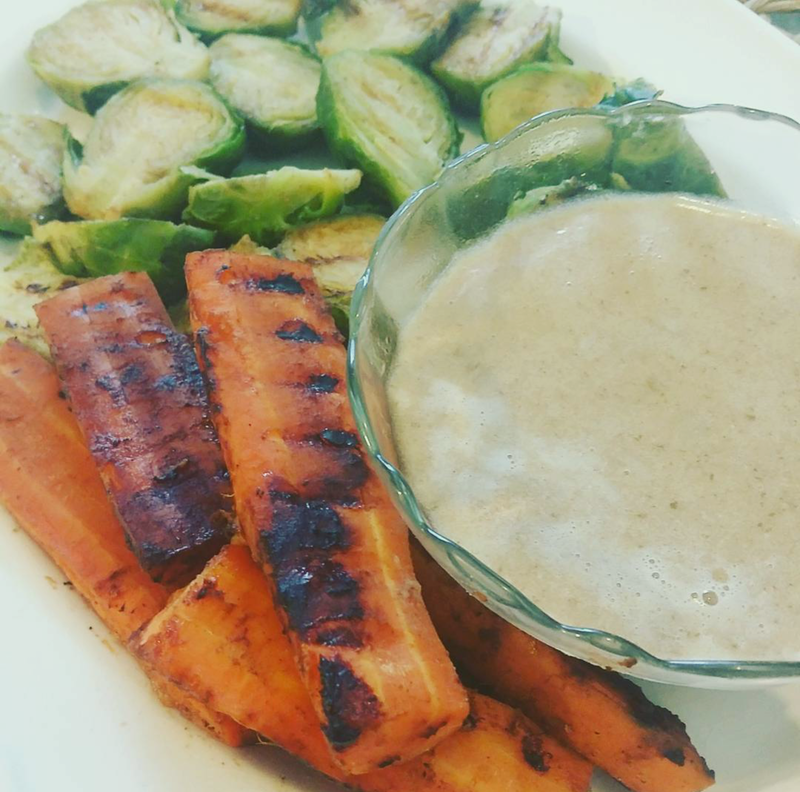 Some days I crave a simple vegetable dish, but I love to jazz it up a bit with a good dipping sauce or dressing. All my recipes are gluten free so when I saw a post about Braggs Liquid Amino and it being a gluten free version of soy sauce full of nutritional benefits it was love at first site. I try to use this wonderful ingredient often. You can grill up any vegetables you like, but I used Brussel sprouts and carrots. Can I just say grilled carrots are A-M-A-Z-I-N-G! For the sauce I used medjool dates and Braggs Liquid Amino and a pinch of fresh grated ginger blended in my vitamix with some water. I’ve used this sauce in vegetable stir fries as well.